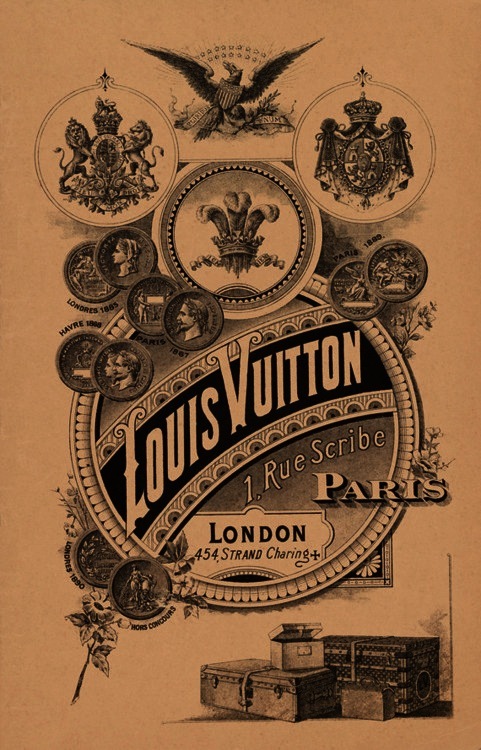 After moving to Paris in 1834, Louis Vuitton began making luggage for the travelling elite and wealthy in Paris. He became famous for designing the canvas flat bottom trunk, luggage that was flat, lightweight, airtight & could be easily stacked in railway carriages. Today Louis Vuitton is known as a craftsman for durable luggage & leather goods, and most famously known for its LV monochrome pattern and damier canvas pattern. Few people know that Louis Vuitton had a licensed relationship with The French Luggage Company in the United States, from the 1970′s-1991. Items manufactured from this licensing agreement do not have date coding and instead other markings distinguishing themselves. With vintage bags SD can stand for either USA or France. SD was the marking for France up until 1995, when there was the opening of a Louis Vuitton factory in San Dimas, California, therefore SD became USA. To establish which country the SD stamp relates to, is dependant on the date stamping being either before 1995 or after. Often at Vintage Heirloom we receive bags with cotradicting date codes. This does not necessarily mean the bag is a replica. Often owners of Louis Vuitton bags will have interiors restored due to them becoming damaged from often use. If an owner has a Louis Vuitton bag restored in Italy, the bag will be issued with a new serial number. This is due to Louis Vuitton never repeating date codes whilst repairing bags. The bag will be issued with a new date code and can therefore have conflicting information such as a’Made in Paris’ stamping on the bag, yet a date code for Italy. By knowing the history of a bag, and whether or not the bag has been restored it is easier to authenticate Louis Vuitton bags. It is also important to note that over time Louis Vuitton codes especially in vintage bags can wear away and a bag without a date code does not necessarily mean it is not authentic.